It said the CV-1, inspired by a Soviet hatchback created in the 1970s, was a revolutionary cutting-edge “supercar”. Kalashnikov was earlier ridiculed over its new combat robot “little Igor”. The company said in a statement on Thursday that the CV-1 car featured a number of “complex systems” with technology that would “let us stand in the ranks of global electric car producers such as Tesla”. 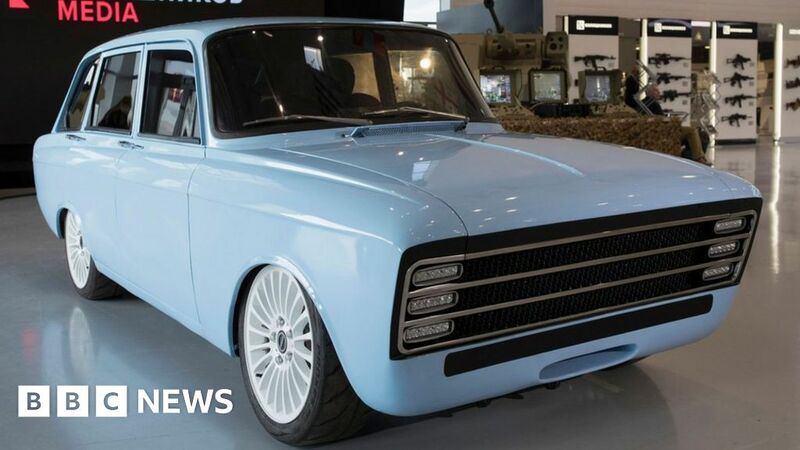 Social media users quickly took to the company’s Facebook page to share their thoughts on Russia’s answer to Tesla, with some commenting on its “funny Zombie-like” design, while others praised its “cool” appearance. Earlier this week, Kalashnikov unveiled Igorek (aka “little Igor”); a four-metre (13 ft) tall, 4.5-tonne, manned robot designed for “carrying out engineering and combat tasks”.